Selecting the correct baby car seat, for your child, is an important, and sometimes daunting process. There are literally hundreds of different car safety capsules, convertible car seats and booster seats to choose from. This is a great capsule, which can be used both inside and outside of the car. It has excellent safety features, including an energy absorbing shell and side impact protection, to shelter from impact. The capsule can also be adjusted as your child grows, making it useful to use from birth right up to around 12 months old. Outside of the car, you can switch it to a lie-flat position, for ergonomic sleeping on the go. It can also be converted into a travel system, compatible with Cybex and a variety of other strollers including Bugaboo, Uppababy, Joolz & more. Ask our team for more info. For ultimate in comfort, plus safety, you can’t go past this Joie I-Gemm Capsule. 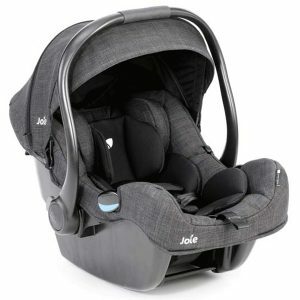 The padded grey fabric is designed to keep your infant cozy, while the five-point harness system and side impact protection, ensure your child is safe and secure. The capsule fits neatly into the Joie stroller range, along with a variety of other strollers including Bugaboo, Uppababy, Joolz, Cybex & more. This means you can transfer your baby from the car to the stroller, without having to wake them up! The capsule comes with a 3-way grow-with-me newborn insert, which means its suitable for a newborn, right through to about 12 months old. This secure car seat is created with Thermo5 fabric, which is a blend of polyester and bamboo, making it super comfortable, and tough, to handle wear and tear. 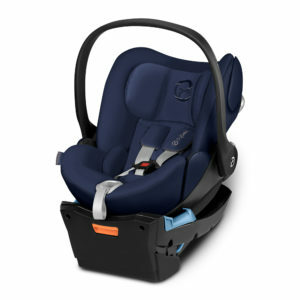 The seat is fitted with side impact technology with 180° layer of protection around your child’s head. 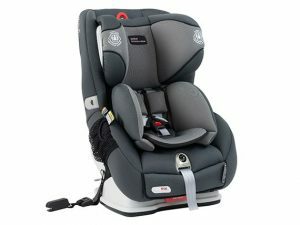 The adjustable restraints and the ability to use the seat rear facing for up 3 years, means this is a great choice for a long-term car seat, suitable for use from newborn, right up to around four years old. 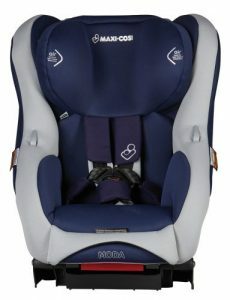 The Maxi Cosi Moda is a rear facing car seat, with crash absorbent technology and side impact protection. This car seat comes with a unique ‘Cool Baby’ fabric, which is designed to keep your baby cool, by drawing moisture away from your baby’s skin and allowing air to flow in. The Maxi Cosi Moda is suitable from newborn until the infant‘s shoulders meet the lower height marker. It can then be used in forward-facing position with built-in harness for use up to approximately 4 years. This is a great forward-facing baby seat, which has a super easy to use harness. The Dual Layer Head and Torso Side Impact Cushion Technology minimises impact forces providing your child the ultimate side impact protection. It also comes with the Thermo5 bamboo blend fabric which is comfortable and long lasting. Due to its adjustable features, this is a great option for a long-term car seat, suitable from 6 months to approximately 8 years (child must reach height markers to use this seat from 6 months). Babyroad offers professional car seat & capsule install services. We are accredited with Kidsafe WA. For complete peace of mind, let the experts install your car seat – find more information or to book a fitting here. 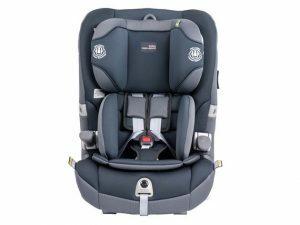 At Babyroad, we stock a range of different car safety seats, capsules, boosters and accessories, to suit newborns, right through to 8 years of age. Come and see us in our Perth Showroom, and our expert staff can guide you through the decision-making process. Or shop online, and we can deliver and install your seat, at your home or office (Perth metro only). We also offer Australia wide delivery. Our friendly team look forward to helping you select the best car seat for your child’s safety and comfort.